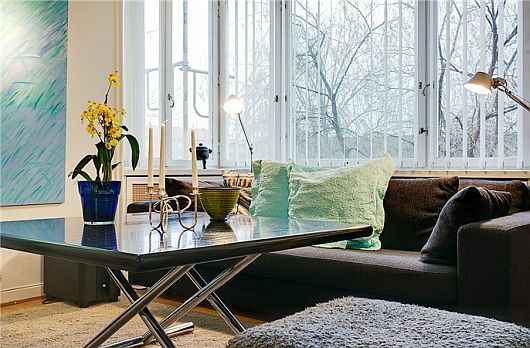 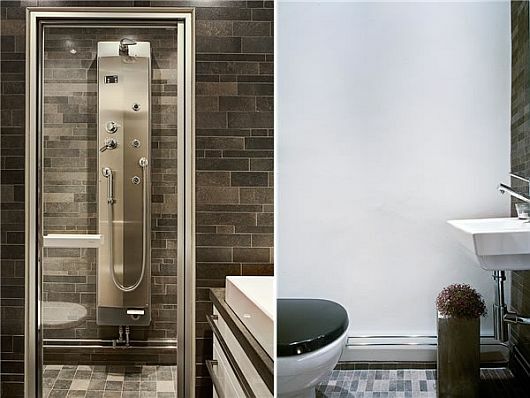 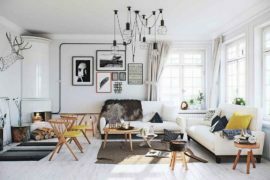 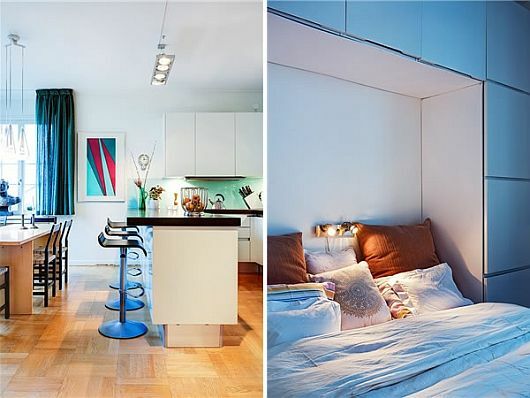 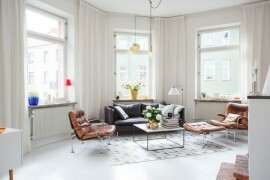 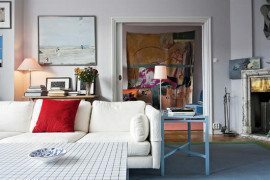 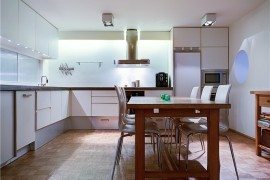 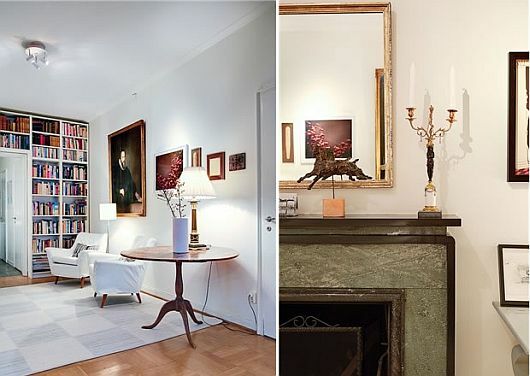 Those who could use some inspiration to add an unique feeling to their new flat, should look no further than this five room apartment located in central Stockholm. 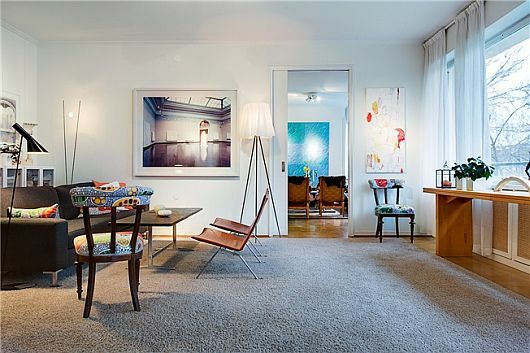 Keeping away from the white dominating interiors that have made a splash here on Decoist before, this159 sqm modern interior grabs the eye with its colorful appearance that seems to have been specially designed for an art lover. 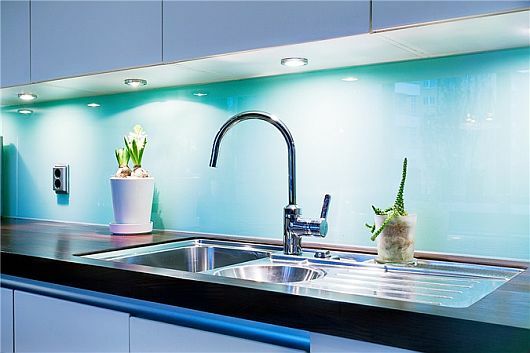 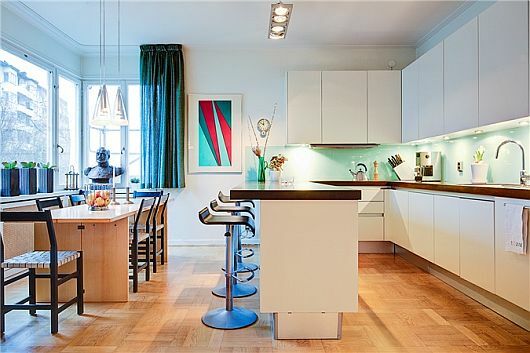 There are paintings on the wall, turquoise accents everywhere, a perfect mix between modern and reconditioned furniture to go along with the fireplace, while the most appealing feature is this exclusive kitchen that adds a tinge of modernism to the whole package. 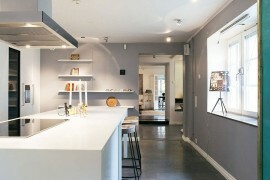 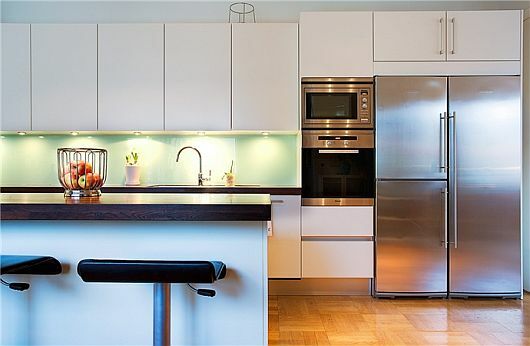 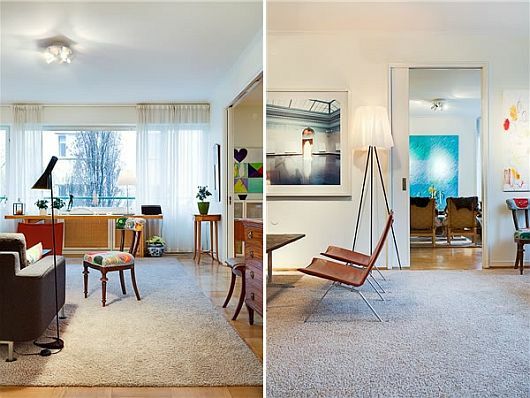 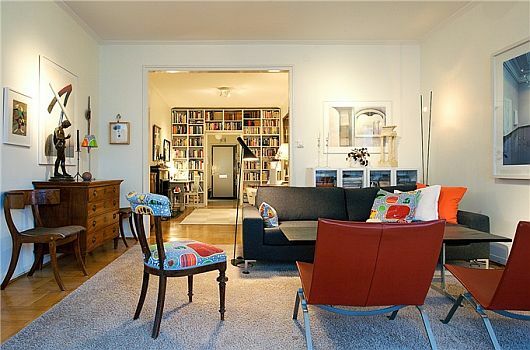 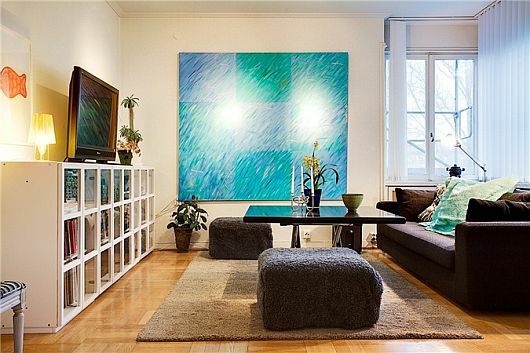 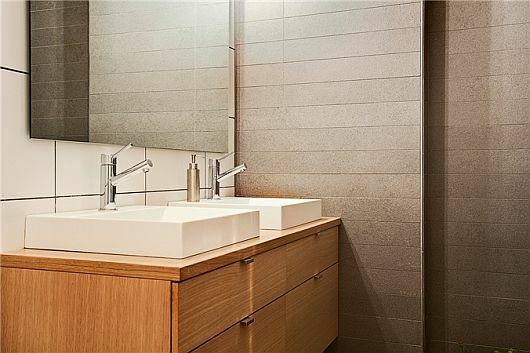 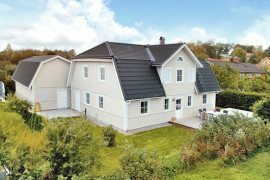 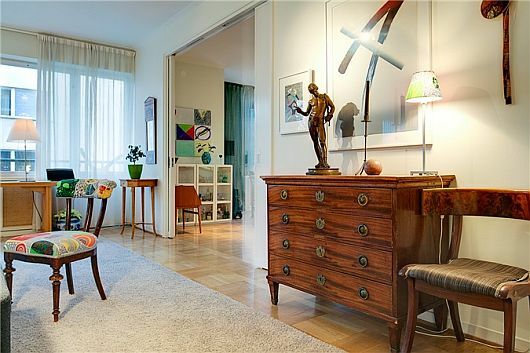 Price if you want to move in is 9,500,000 SEK or some $1.34 million at today’s rate; for that of course, you’ll own it.